OK guys, long time no see but I appreciate the feedback. I've had a few years working too much to scrape a living and have not had the time to try for a career, that's changed a wee bit so here's first of two new projects. 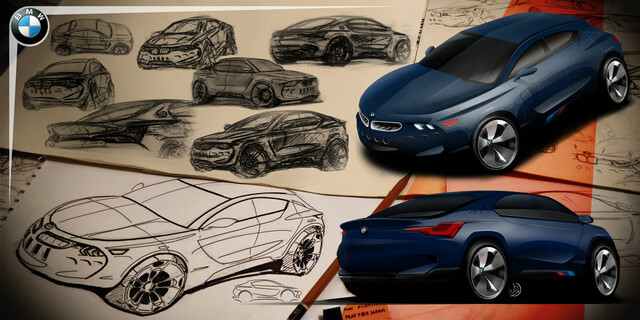 Old one is being remade and is an engineering project, this is styling and brand, the next is autonomous and interior. 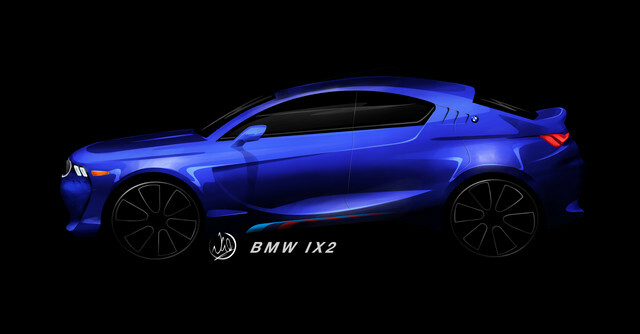 I introduce the BMW ix2, it's a compact electric SUV, on point marketing wise, but pulling away from the over aggresive and vulgar BMW design language. Welcome back. Life always gets in the way, doesn't it? Did you at least get your foot into automotive? Too bad that this part of the board isn't as lively as it was a few years ago. I never participated but liked looking at the posts. I dig the overall design, and like some of the sketches incorporating the pre-Bangled narrow kidney grille. The one in the middle has a proper retro-feel going on with those details and the nod to the classic round lights. I like the stance and overall shape, very aesthetically pleasing, though the rear part of the DLO might have too much slope to be considered practical. I suppose there might be a more practical, ix1 version with more boot space. Where did you get your inspiration for the front bumper and D-pillar treatment (in the render)? Unfortunately not. If you depend on a full time job to survive then a career is out of reach these days. I've set up a graphic design business to try and take myself out of timetabled work, it's only through this i've been able to pick up work on the portfolio to try get one of the very very few graduate level jobs available, most require several years experience. I was looking at a few retro details without it having an overall retro look, both D-pillar and front bumper are supposed to reflect each other with the cut. With the pillar I was trying to think of a new take on the hoffmeister kink and with the bumper the 5 cuts on the front came from detailing common in the 70's, but also houses radar etc without joining the kidneys.